The Pentax CS-310 cable release works with select Pentax DSLRs that lack a dedicated socket for connecting a cable release. The CS-310 connects to the camera's microphone port. It features a shutter release button with a half-press setting to activate AF/metering, and a HOLD button for long exposures in Bulb mode. 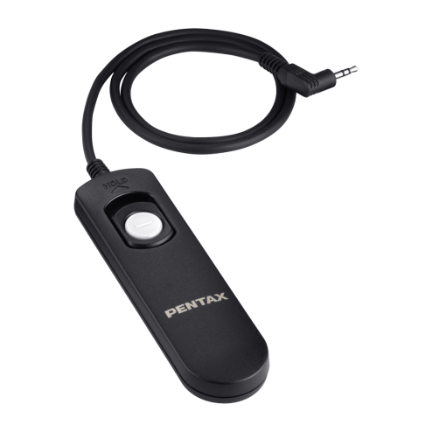 As of February 2016 only the Pentax K-70 and Pentax KP support the CS-310 cable release.